Approximately 124 students ate a nutritious lunch at in the cafeteria. The cafeteria, which also doubles as an auditorium, seats 80 students at any given time. It has been outfitted with new utensils and equipment. 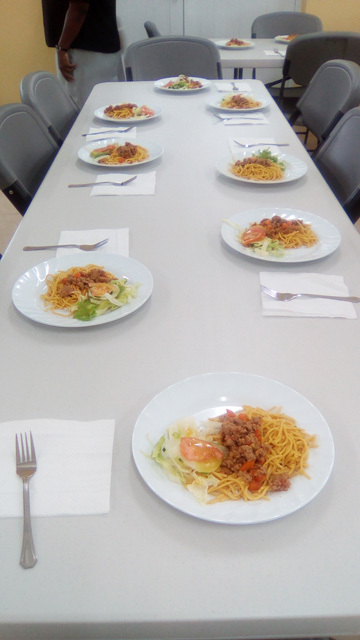 Five cooks and one cleaner are on staff. The cost of lunch at the school is EC $5 a day. Director of School Meals Earlene Maynard, witnessed the distribution of the first lunches and explained the important of healthy eating to children and the Schools Meals Program. Maynard said school cooks will incorporate many local foods into the children’s diet. Meat from the abattoir and many locally grown fruits and vegetables will be used to prepare the meals. Maynard said she was excited about the opening and noted there were challenges in bringing the kitchen to fruition. 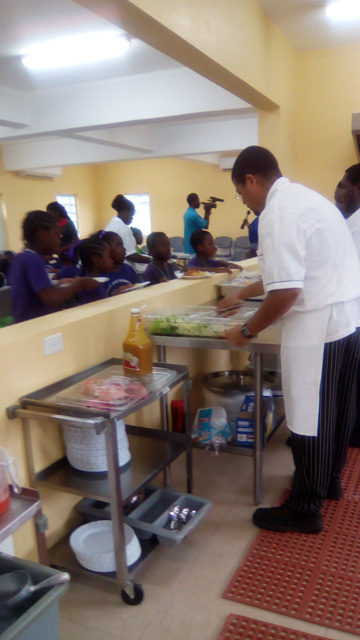 Michael Henville head chef in charge of the school meals program noted that he was very happy to be involved with the opening of the new kitchen at Gingerland. “This has been a long time coming. 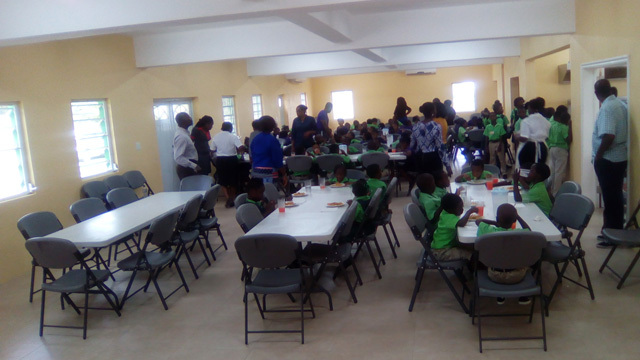 I’m excited to see all these happy children come in with smiles and shocked faces when they get a plate of food is really nice,”Henville said. Principle Education officer Palsey Wilkinpointed out the import link between nutrition and education. 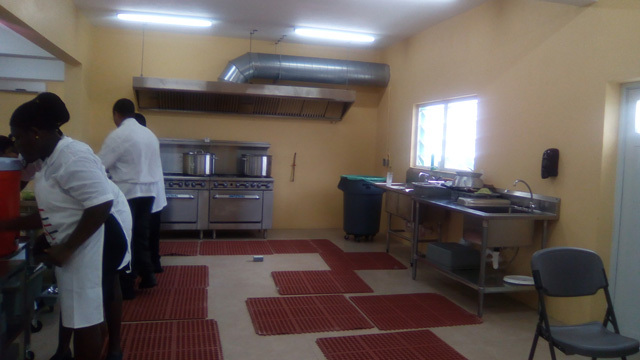 Wilkin complimented the principal and staff of the JLPS and thanked the Nevis Island Administration, Education Department, the Ministry of Finance and Marion Lesscot for bringing the cafeteria to fruition.